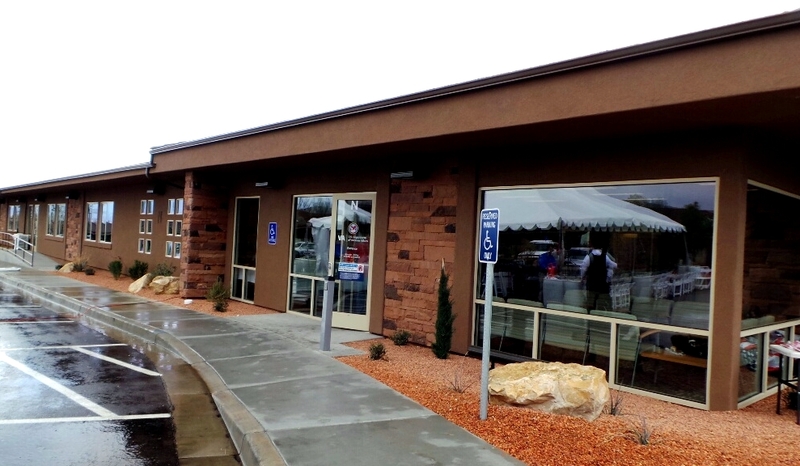 ST. GEORGE – The St. George Community-Based Outpatient Clinic held a dedication ceremony Thursday for a new, larger facility, located at 230 North 1680 East Bldg. N in St. George. 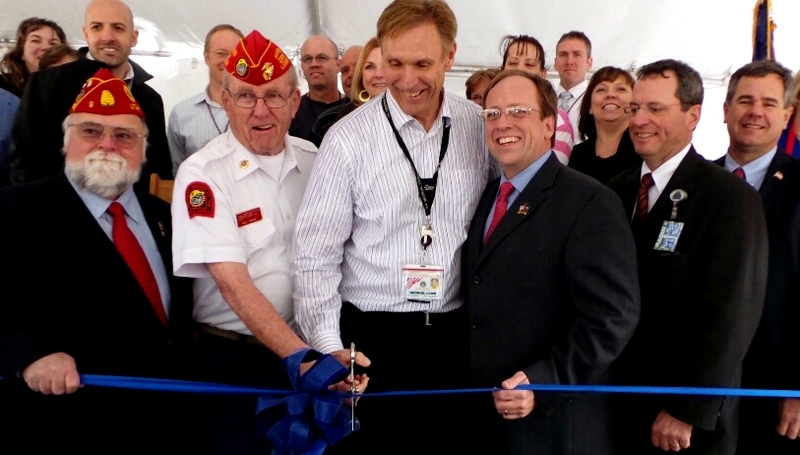 This expansion allows the clinic to offer additional health care services to military veterans in the area. 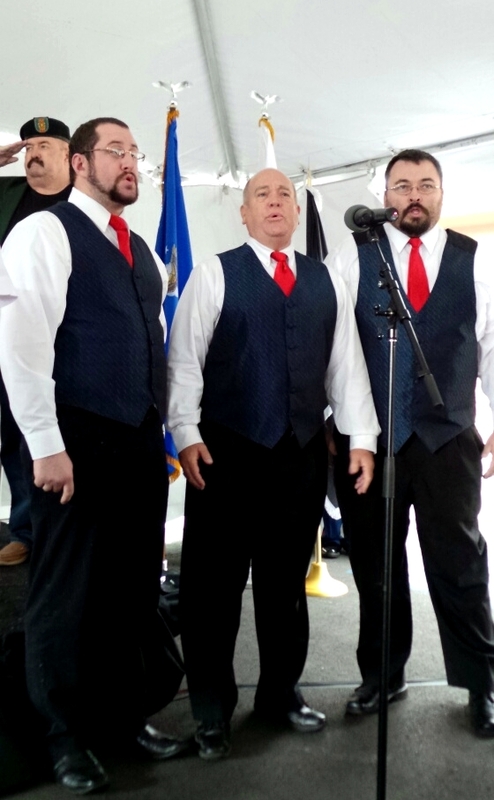 The dedication was held at 11 a.m. in less-than-ideal weather conditions. 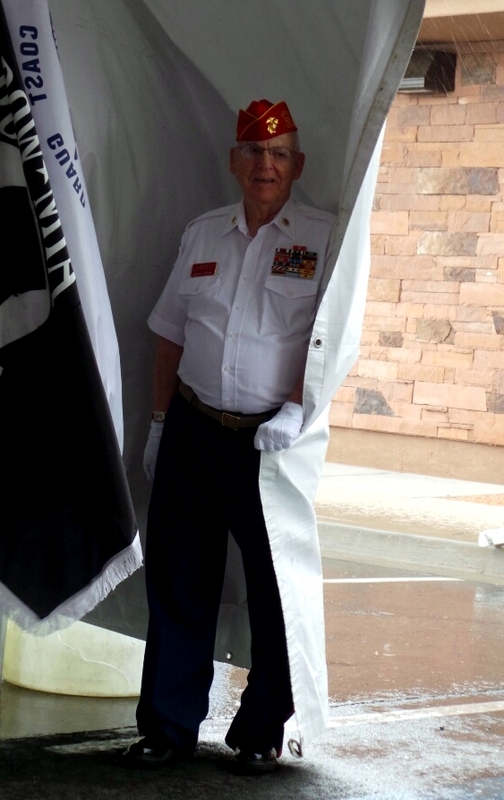 Preceded by a stiff wind, a sudden downpour started during the Pledge of Allegiance. 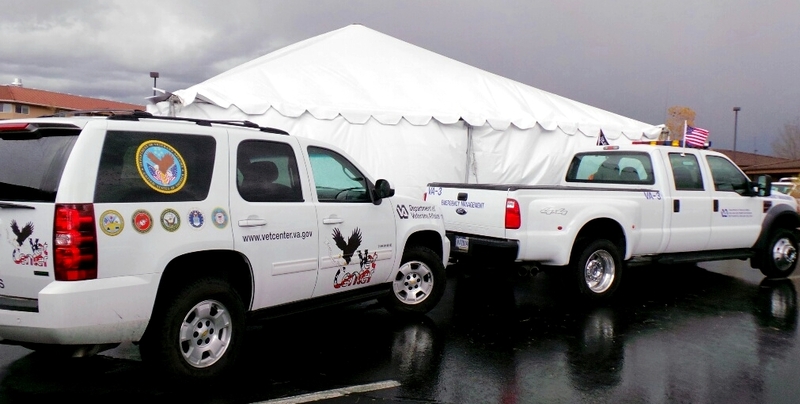 While members of the Marine Corps League and Southern Utah Patriot Guard Riders tried to keep the tent on the ground, remarks from the invited speakers, including St. George Mayor Jon Pike and Pastor Rick Nerud of Calvary Chapel St. George, were kept brief. The clinic was established in 1998. 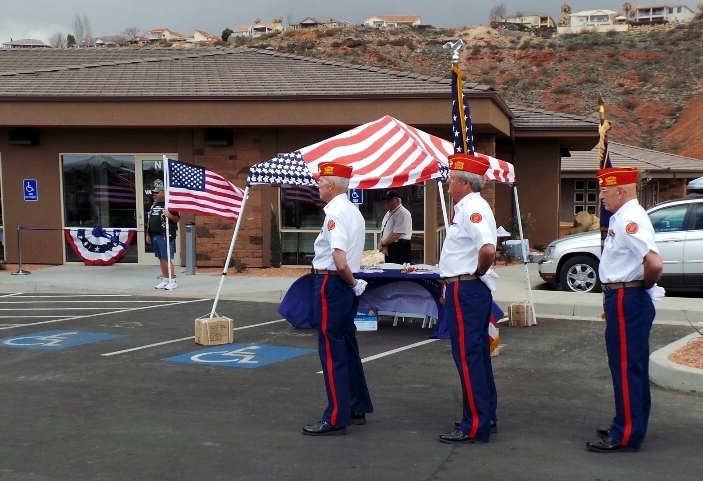 Over the last decade, the St. George area has experienced a population boom of veterans of retirement age; nearly 1 in 4 residents has served in the military. Scrambling to provide adequate care for more than 200 patients with increasing health needs, clinic manager George Dunnigan and his staff requested funding from the VA for the expansion. 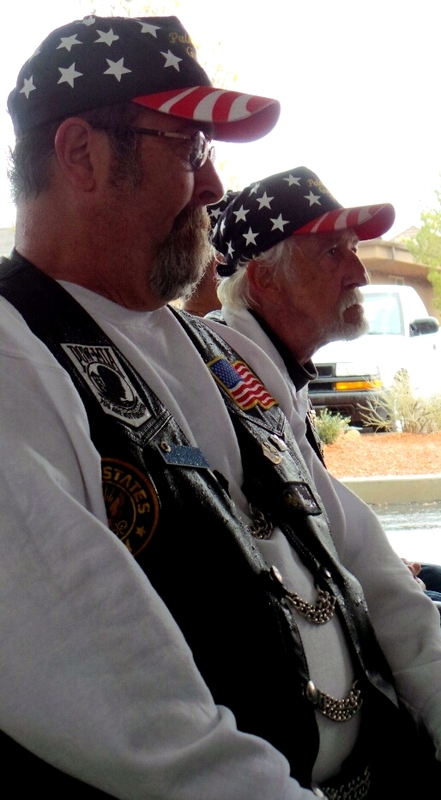 About 20 percent larger, the new facility offers more local options to veterans who, for financial or health reasons, cannot make the trip to Salt Lake City. Services include primary and some specialty care, vision and hearing, women’s health, diabetes treatment, extended case management, mental health, post-traumatic stress disorder treatment and readjustment counseling. All equipment is new and state-of-the-art, including the telehealth system, which allows specialists at the medical center to examine, diagnose and follow up with patients via webcam. 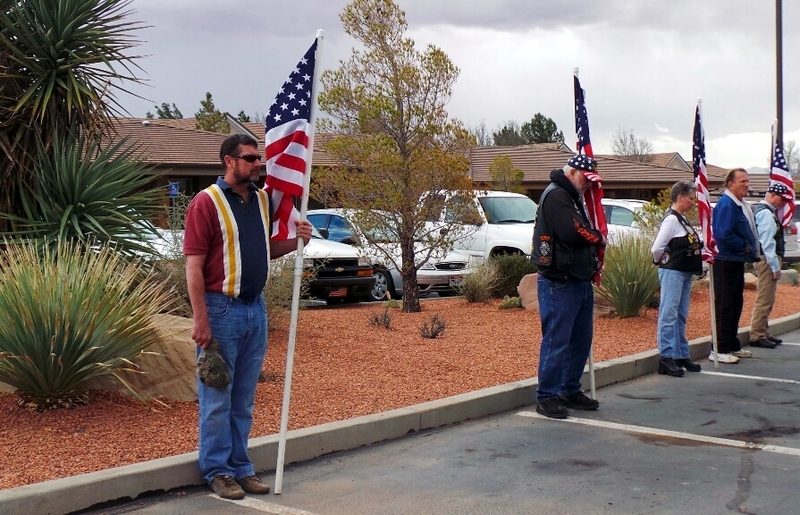 The clinic also works with the St. George Vet Center, another VA facility focusing exclusively on counseling for combat veterans. Following the ribbon-cutting, the crowd moved inside as quickly as possible. Clinic staff, many of them volunteers, offered tours of the facility and refreshments. It’s also a place of camaraderie, where a brotherhood of survivors of a tough and often thankless job can gather to support each other. 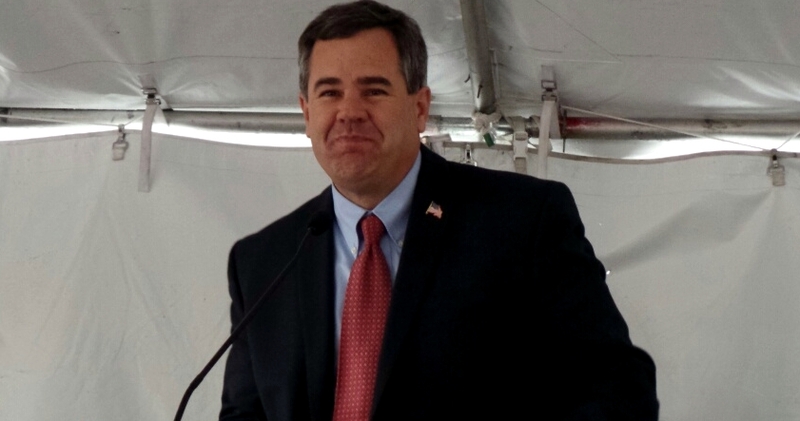 “That’s really important to me and enormously important to the veterans,” Pike said. The VA new clinic is very nice much better than the old one, just wish they get more doctors and nursers and some new equipment.Thank you all who work there, I know you are doing the best job you can with what you have. thank you very much!!!! I was born and raised in the military, and have been connected to it all my life. Knowing what life in the military is like, gave me a better understanding and appreciation for our veterans…and a deeper love for our freedoms. 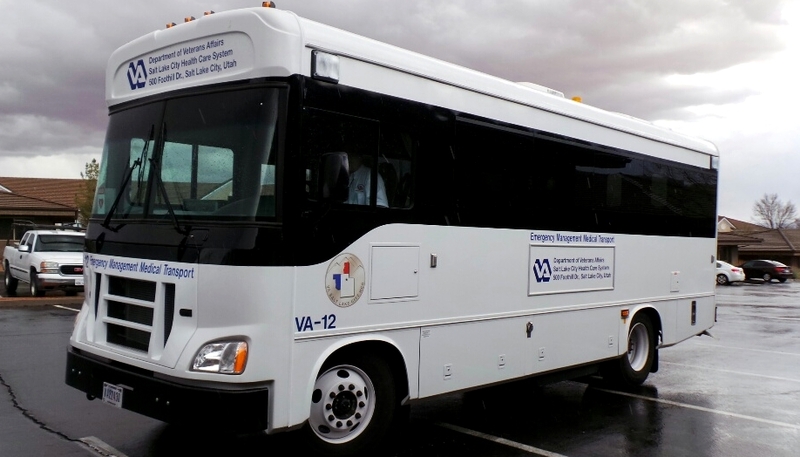 Thank you for making these services available to our veterans down here. They deserve the best…and it is nice to know they will be getting the best St George can offer them.